In preparation for a large Chef's Table dinner, our Executive Chef, Assistant Manager, General Manager, and I tasted a few wines to compliment the seven course feast, themed in honor of Becker Lane Organic Farm from Iowa. Becker Lane has incurred a huge following on the North Shore, and our Chef has had the privilege to visit the incredible farm, where the goal is to produce the finest pork available that has been nurtured to be so. Each amazing course features a Becker Lane product. 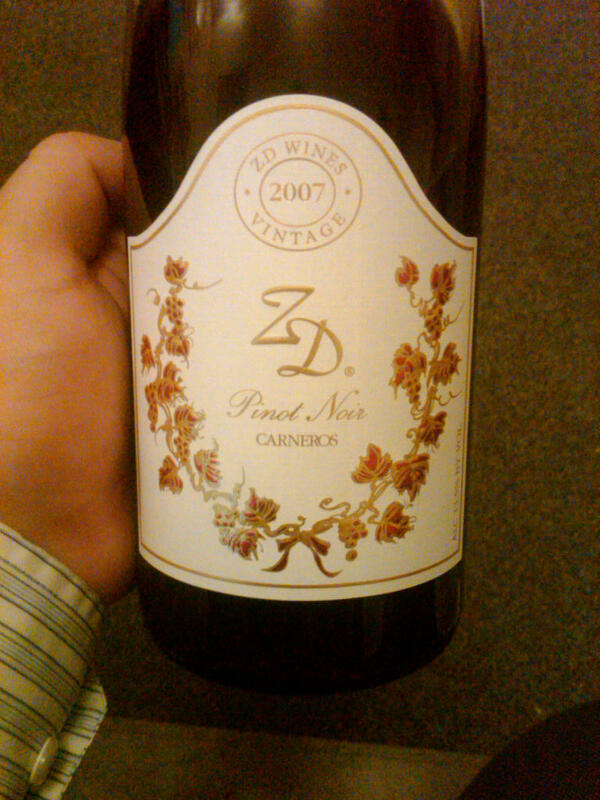 One of the winners for the line up was ZD's 2007 Carneros Pinot Noir. I received an excellent deal on this wonderful addition. I actually had a luncheon with the VP of Sales, Teresa, about a year ago to experience their great portfolio. At the time, I purchased the 2007 Founders Reserve for the club, an incredibly intense and beautiful Pinot that I have kept in the cellar for about a year, and will probably bring out next. I ordered this Carneros PN shortly after. 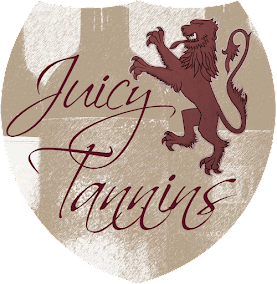 The wine has a beautiful nose filled with rich raspberry, light spice, and a hint of chocolate. The palate is smooth with cherries and red fruit. A subtle spice is present and a hint of vanilla, with a dry finish. The silky back is lingering with the rich fruit. We have paired this with two courses: Becker Lane Canadian Bacon Mac & Cheese with House Made Ricotta Gnocchi & Gruyere Cheese; and Slow Braised Hard Cider Marinated Becker Lane Pork Sirloin with Apple, Sunchoke & Parsnip Puree and a Julienne Apple Salad. I'm starving just typing this.